Today’s compilation post is my Watercolor Flower series “updated”! I had started an official series a while back, and stopped numbering them – as of now they’re all in the playlist and numbered up to 20, so let’s get started…..don’t miss the free class linked at the end of this post, too! 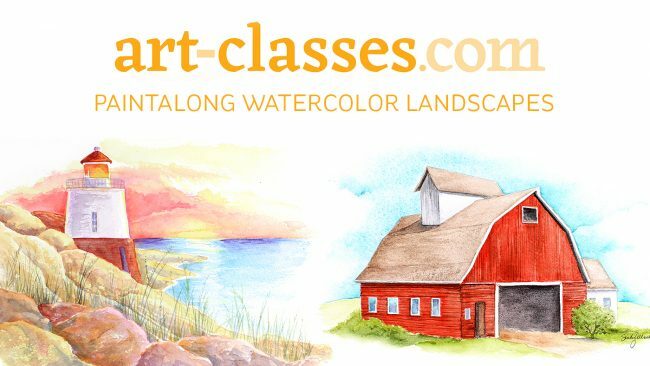 If you were part of my “Paintalong” series a few years ago, you’ve already seen the videos…I’ve compiled them along with a new pre-class video over at Art-Classes.com – feel free to take it again if you’d like a refresher! Sandy, thank you for the excellent watercolor classes. Thank you, thank you!!! You are Beautiful inside and out! thanks sandy for the free watercolour classes…u are not just a good artist but a person with a beautiful soul too. 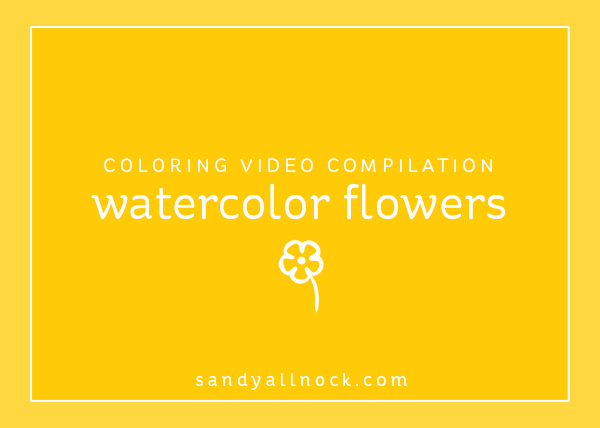 Sandy, your sharing of these videos gives a glimpse into your heart. You could have shared these in a class where you could profit some, yet you chose to freely share them. I think this shows what a generous, loving soul you are. Than you so much. I feel like I’ve been given a wonderful gift. Hopefully my water coloring will improve. Again, thanks. I like these posts. I would like to see dog and/or cats one. What an awesome blessing. I saw the “wink” so I wanted to check it out. I have not delved into watercoloring but your generosity has not gone unnoticed. I have such a busy day today, and cannot wait until I can start at the beginning of this amazing journey! I have seen some, but I’m looking forward to each and every one of them. I have been exploring with my watercolors since I first viewed the “free watercolor class”. It gave me so much confidence. Thanks so much. Amazing instruction, information, inspiration and friendly chatter. Love it! Then when I think it is way too much, you present another HUGE free watercolor class. You have a very giving and kind soul.